Custom Injection Molded Plastic Trailer Hitch Covers 4 | Sharp Performance USA Inc. Custom Injection Molded Trailer Hitch Cover. Promotional Trailer Hitch Covers are a fantastic way to keep your brand name out in your target market. Effectively promote your company name, logo, phone number, website, company tagline, or just about any other info you want to get across to your customers or potential customers. At Sharp, we only supply the highest quality custom car Hitch covers available. We want our hitch plugs to last for many years, and keep the brand name and text copy looking crisp and clear, even in the harshest environments. 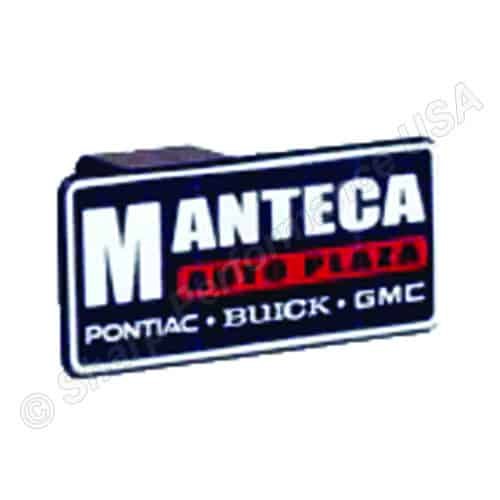 We sell custom hitch covers wholesale to organizations all over the US and Canada, as well as Europe, and Australia.